"Pardon the cliche, but here's a husband-and-wife piano duo who make beautiful music together ... superb engineering make the Bax Chung duo debut all the more auspicious." "The piano is captured in clear, dynamic sound and the recording benefits from the fine acoustics ... 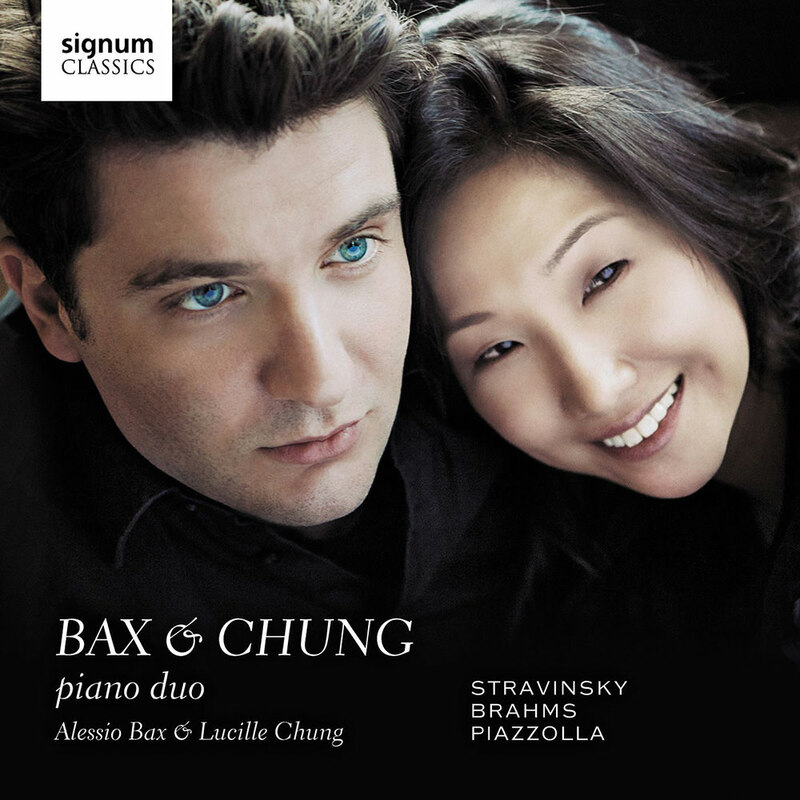 I really enjoyed this and I think you will, too ... Bax and Chung are without a doubt one of the finest piano duos out there." The real life marriage of two great concert pianists, Alessio Bax and Lucille Chung, has led to one of the leading piano duos of their generation. This album of music for piano four-hands is the couple's debut release. Stavinsky’s Pétrouchka was originally arranged for four-hands by the composer as a rehearsal score, but this stripped-down version brings all the melodic, rhythmic and harmonic inventiveness to the fore. Brahms’s 16 Waltzes are an enchanting collection of Romantic miniatures that nod to the musical lineage of the composer’s home in Vienna. The final four tangos by Piazzolla are full of Argentine flair and vigour and were arranged especially for this recording by Bax and Chung. Recorded in Wyastone Concert Hall, Wyastone Lees, Monmouth, UK from 24–26 February 2013.